Organic farming starts with breeding. Organic plant breeding is defined by the IFOAM standard (4.8 Breeding of organic varieties) and bears a high potential to provide farms with varieties perfectly adapted to organic farming. 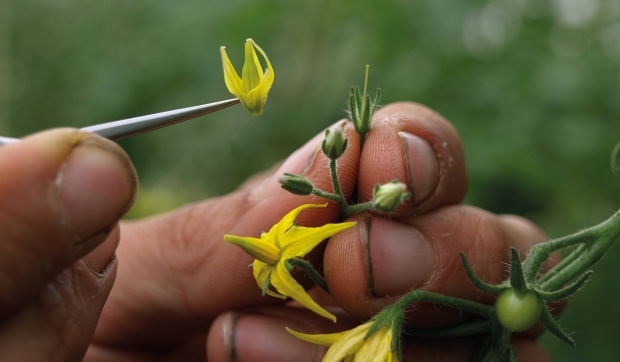 Organic plant breeding contributes to the organic farming goals such as the work in accordance with biological systems and to have a positive impact on biodiversity – as organic breeders work with a broader genetic base than conventional breeders. Why is organic plant breeding needed? Organic plant breeding is still a small sector and the varieties used in organic farming are mainly derived from conventional plant breeding. This means, many varieties used in organic farming are quite old. Many “modern” varieties used in organic are selected under mainstream conditions using seed treatment, herbicides and mineral fertilizers. But the organic sector needs varieties bred for low input farming, adapted to local conditions and often aims for specific food qualities. Organic plant breeding often goes hand in hand with the conservation of traditional and local varieties – which is an important activity to keep a broad range of genetic resources alive. But conservation must not be confused with organic breeding, which is essential to provide organic farmers with modern varieties suited to serve the present organic food sector. Several initiatives on organic plant breeding exist, mostly in Central and Western Europe. The ECO-PB (European Consortium for Organic plant breeding) unites many of them and focusses on exchanging scientific knowledge, promoting research and policy work. Our website gives an insight in organic plant breeding activities by introducing breeders and breeding initiatives. We aim to present success stories about plant varieties that have been obtained by organic breeding. We want to contribute to knowledge exchange and networking amongst organic stakeholders and on the long run to increase the uptake of organic plant varieties and organic plant breeding activities. How is organic plant breeding financed? Financing models need to consider the fact that plant breeding is not only for profit, but also a cultural and societal task. Johannes Wirz, Peter Kunz and Ueli Hurter have assessed future perspectives for non-profit seed and breeding initiatives in their study “Seed as Commons” which is also available in German as “Saatgut - Gemeingut”. Organic farmers do not use genetically modified organisms (GMO). To keep GMO out of our food chain, seed plays a major role. New challenges come up with new gene technologies such as CRISPR-Cas and Talen.